We are not powerless against back pain. It can be alleviated or even prevented with one simple thing: how we sleep. Unfortunately, the reverse is also true. Some aches can be aggravated or even caused by how we position our bodies during slumber. How and on what we sleep can go a long way toward preventing or eliminating back pain completely. Back pain is one of the most common complaints that people bring to their doctors. About 80 percent of adults report experiencing low back pain at some point in their lives. According to National Institute of Neurological Disorders and Stroke, a 1990 study ranked low back pain as sixth among the causes contributing to poor health and mortality. Two decades later, it moved to third place. Studies point to a relationship between back pain and sleep. The Sleep in America poll — a national, random-sample survey of 1029 noninstitutionalized adults weighted to be nationally representative that was conducted by the National Sleep Foundation—found that 21 percent of Americans experience chronic pain and that 36 percent report having had acute pain in the week preceding the poll. Of those experiencing chronic back pain, 23 percent report having been diagnosed with a sleep disorder by a doctor, while 6 percent of all others have been. Health specialists sometimes have a hard time figuring out why our backs hurt. A lot depends on where and when it hurts. There is no one single uniform category of back pain. Instead, there are many different types of back aches. 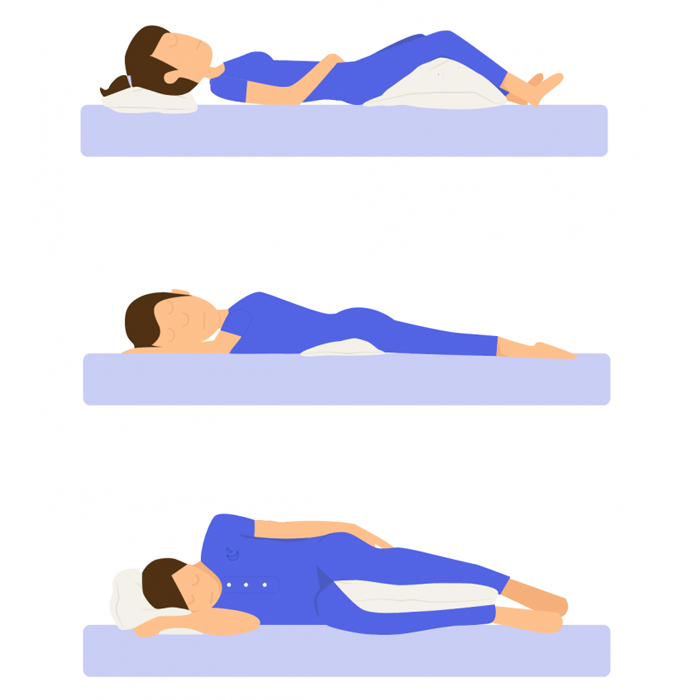 There are five regions to your spine, and all five need to be supported to ensure a restful and restorative night’s sleep, especially if you suffer from one of the above spinal curvature abnormalities The regions of the spine consist of five areas: the cervical, thoracic, lumbar, sacral, and the tailbone. 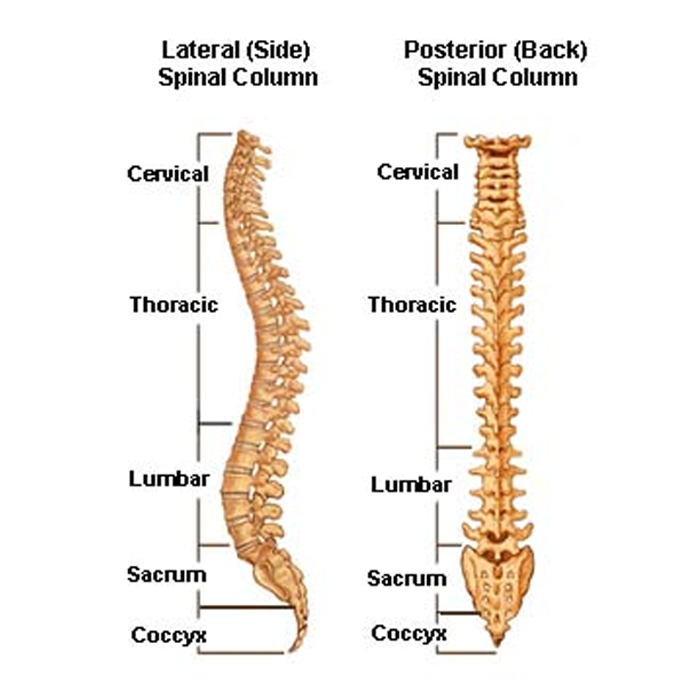 Cervical spine (neck): The 7 vertebrae of the cervical column support the skull, brain stem, and the spinal cord. The cervical spine serves the flexibility of the head, moving the neck. Bad pillows or whiplash often lead to pain in this area. Thoracic spine (upper or mid back): The 12 vertebrae of the thoracic column are relatively stable because of their attachment to the rib cage and the ligament system. They help protect vital organs. Pain of the upper back, though rarer, includes muscular problems and joint dysfunction. Lumbar spine (low back): The 5 (in some people 6) vertebrae of the lumbar column are located between the rib cage and the pelvis. They support the body’s weight and allow for movement. Muscle problems related to heavy lifting, degenerated discs, and herniated discs with the accompanying sciatica are most often the cause of pain in this region. Sacral spine (lower back): The sacral column is a triangle-shaped bone that consists of 5 segments that are fused together. Sacroiliac joint dysfunction, which means pain on the one side of the low back that often radiates down to the knee, is a condition to which young and middle-aged women are most prone. The coccyx (tailbone): The tailbone is the area made up of 3 to 5 small fused vertebrae. It is most likely to hurt from prolonged sitting. Stress and anxiety become a part of a vicious cycle. Back pain, often worsening quality of sleep, can in turn aggravate stress and anxiety. And, in turn, worry can lead to physical pain. According to The Anxiety and Depression Association of America, back pain is more prevalent in people with anxiety and mood disorders than those without them. The management of stress and anxiety involves proper diet, sleep, and exercise as well as cultivating social ties. Medication and talk therapy have also proven beneficial in some cases. Pulled or even torn muscles, which commonly cause pain in the lumbar region of the spine, can be the consequence of improper use of the muscles during heavy lifting or exercise. and the internal organs of the body. – It provides structural support for an upright posture. – It facilitates flexible movement. An unhealthy spine means an unhealthy body and mind. The spinal column needs proper support at night. 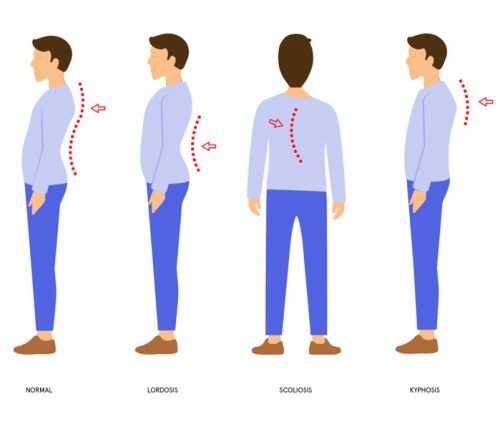 A well-chosen mattress can help in the maintenance of proper posture. In the 2015 Sleep in America poll by the National Sleep Foundation, people with acute and chronic pain reported that environmental factors often disturbed their sleep. The environmental factors that affect quality of sleep included noise, light, temperature, and, indeed, an uncomfortable mattress. The caution about a mattress that’s too firm was confirmed by a peer-reviewed study published by the medical journal The Lancet. Researchers tested 313 adults with chronic, nonspecific low-back pain and who complained about back ache when sleeping and upon rising found that after 90 days. Some of them were randomly assigned firm mattresses and others medium-firm mattresses. Mattresses of medium firmness improved pain and disability among patients with chronic nonspecific lower back pain. Doctors and manufacturers agree that if a mattress helps you sleep well and wake up rested, regardless of its firmness and composition, it’s a good mattress for your specific back pain. In 2015, Consumer Reports found that medium-firm to firm mattresses tend to promote the natural curvature of the spine. For back sleepers, mattresses that best accomplished this goal ranged from an innerspring mattress (not the best choice for those back sleepers who tend to roll over to their sides), memory foam beds dubbed by the manufacturers as “ultra firm,” which CR found to be medium firm, to adjustable air mattresses (which are also good for those who occasionally roll over to their sides). The American Academy of Family Physicians recommends using a firm mattress to promote the proper alignment. This recommendation is, however, is challenged by some data, including the already mentioned Lancet study. One size doesn’t fit all. Yes, some universal basic considerations apply—the mattress should support the natural curve of the spine and, as a result, most doctors and sleep experts recommend medium-firm mattresses. But if a softer mattress offers the kind of cushioning and buoyancy that consistently relieve the back pain of some sufferers, it would make little sense for them to switch to a firm mattress. Smaller people (under 120 pounds) often find softer mattresses enough to provide an appropriate support to their frames. The areas of the body that are particularly sensitive to pressure are known as pressure points. They can often be felt in bony areas. People suffering from fibromyalgia are particularly prone to developing areas of tenderness. Any mattress that distributes the sleeper’s weight evenly throughout works to relieve the pressure points. Does the comfort layer of the mattress have a cooling effect? Or does it hold your body heat and leave you sweaty and uncomfortable? These questions have become increasingly important to mattress shoppers. The National Institutes of Health counsels cooler temperatures for sleep. Cooling increases blood flow, and that, in turn, leads to oxygenation. Even distribution of the body weight and in turn relieve pressure points. Innerspring or coil mattresses rely on springs or coils to provide support. Hybrid mattresses can offer the best of all worlds, combining coils with a top layer of foam or latex, or both foam and latex. Salespeople sometimes falsely claim that the more coils the better the mattress. Latex mattresses are made from either synthetic or natural rubber. Airbed mattresses that use adjustable air-filled chambers instead of coils and are topped with foam. Once you’ve decided on a mattress type, there are just a few more things for you to consider. Back sleepers should tuck a small pillow underneath their knees to allow the lower back to curve naturally and comfortably. For the head, choose a pillow of medium height and firmness to keep your neck and spine aligned. If snoring is an issue, prop your torso up using a few firm pillows. Side sleepers should tuck a pillow between their knees to relieve stress on their hips. For the head, opt for a firm or extra firm pillow around 4 inches in height to keep your spine straight from neck to hips. 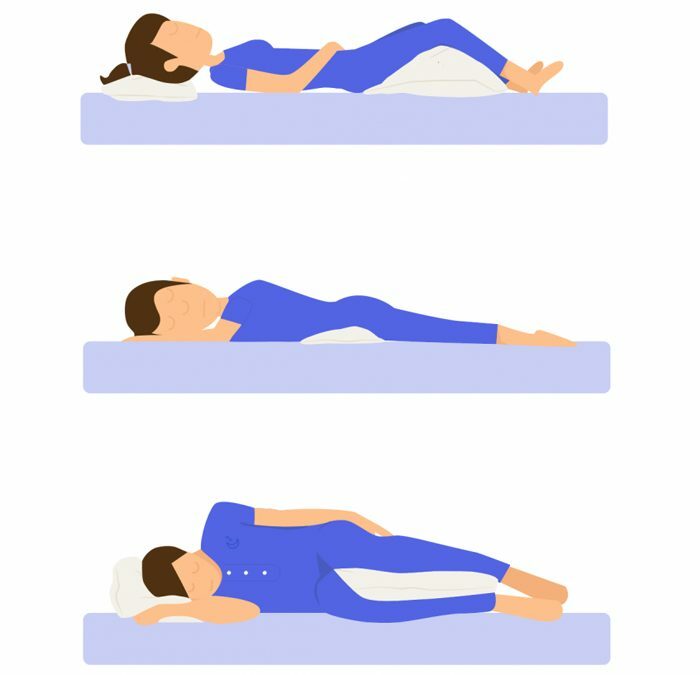 Stomach sleepers should tuck a small, flat pillow beneath their stomach and pelvic area to prevent the spine from sinking. For the head, a thin pillow is best because it keeps your neck flat and in alignment with the rest of your body. If lying in a recliner feels more restful than lying straight on your back, you may want to consider an adjustable bed. Adjustable beds let you lie at a 30-45 degree incline, making them a good fit for back sleepers recovering from back surgery or living with degenerative spondylolisthesis, osteoarthritis, or spinal stenosis. These beds can be adjusted by remote control, often have timers or massages built in, and come in multiple sizes. However, they can be quite expensive and many couples find the design to be awkward. Mattresses vary widely in price. 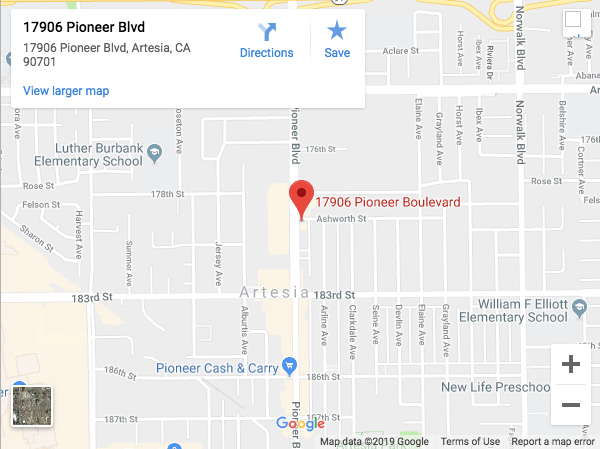 Depending on the type of mattress, the quality, where you bought it from, and whether you added any customizations, you can expect to pay somewhere between a few hundred to several thousand dollars. We recommend planning to spend between $800-$1,000 on a mattress you plan on using full-time. Recognize that the five minutes you spend in the store isn’t really a great proxy for how the mattress will feel to sleep on for several hours each night. Please fill out this form and we will contact you about scheduling.